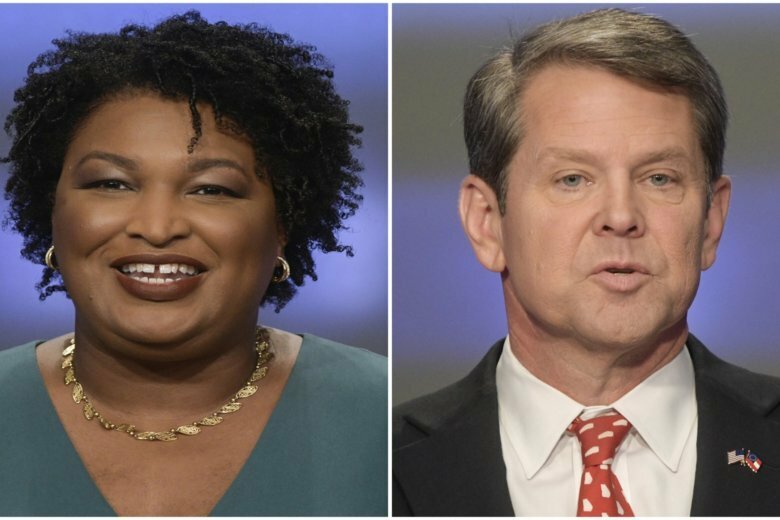 ATLANTA (AP) — A political organization backed by Democrat Stacey Abrams filed a federal lawsuit Tuesday challenging the way Georgia’s elections are run, making good on a promise Abrams made as she ended her bid to become the state’s governor. State elections officials “grossly mismanaged” the 2018 election in a way that deprived some citizens, particularly low-income people and people of color, of their right to vote in violation of their constitutional rights, the lawsuit says. It was filed by Fair Fight Action against interim Secretary of State Robyn Crittenden and state election board members in their official capacities. “The general election for governor is over, but the citizens and voters of Georgia deserve an election system that they can have confidence in,” Lauren Groh-Wargo, Abrams’ campaign manager who’s now CEO of Fair Fight Action, told reporters on the steps of the federal courthouse in Atlanta. More than 40,000 people called to report problems they faced when they tried to register or vote, and their stories bolster the allegations in the lawsuit, Groh-Wargo said. As secretary of state, Abrams’ opponent, Republican Gov.-elect Brian Kemp, was the top elections official until he declared himself the winner and resigned two days after the election. On the campaign trail, Abrams repeatedly called Kemp “an architect of suppression,” an allegation that Kemp vehemently denied. The lawsuit was filed against Crittenden, who was appointed by Gov. Nathan Deal after Kemp stepped down, but it clearly targets Kemp. She cited multiple problems, including the purging of eligible voters from voter rolls under a “use it or lose it” policy; the state’s so-called “exact match” voter registration rules that require information on voter applications to precisely match state or federal files; an insufficient number of voting machines at some precincts; and a lack of sufficient training for elections officials. Several federal judges presiding over ongoing lawsuits found problems with aspects of the state’s election system and ordered temporary fixes in the run-up to the election and immediately afterward. Fair Fight Action’s legal counsel, Allegra Lawrence-Hardy, said the organization hopes to work with other groups that have similar goals and will also consider legislative action. The lawsuit asks a federal judge to declare that Georgia’s current elections process violates the U.S. Constitution and federal law. It asks the judge to order the state to stop using the “exact match” and “use it or lose it” policies and to stop using electronic voting machines with no auditable paper trail. It also includes an extensive list of other changes it says the judge should order. The goal, Lawrence-Hardy said, is to make sure problems are fixed by the 2020 election. Abrams didn’t end her bid to be the first black female state governor in U.S. history until 10 days after the election, insisting efforts to suppress turnout had left thousands of ballots uncounted that otherwise could erode Kemp’s lead and force a runoff election. Official results certified Nov. 17 showed Kemp with 50.2 percent of the more than 3.9 million votes tallied, while Abrams got 48.8 percent. Libertarian Ted Metz finished with just under 1 percent. Abrams is on the board of the nonprofit Fair Fight Action and helps advise it but doesn’t serve in a leadership role, Groh-Wargo said. There is also an associated political action committee, Fair Fight Georgia. Joining Fair Fight Action as a plaintiff in the lawsuit is Care in Action Georgia, the state chapter of a national nonprofit dedicated to fighting for the rights of domestic workers. The Georgia group is headed by state Sen. Nikema Williams, an Atlanta Democrat. Williams made headlines earlier this month when she and 14 other protesters were arrested at the state Capitol as lawmakers were convening for a special legislative session. Dozens of protesters gathered in the statehouse rotunda, loudly chanting “Count every vote!” and waving signs with the same slogan. “We’re fighting to make sure every eligible vote counts in 2020, 2022 and beyond,” Williams said Tuesday after the lawsuit was filed.